My name is Cara Gulati. I have the best jobs in the world! 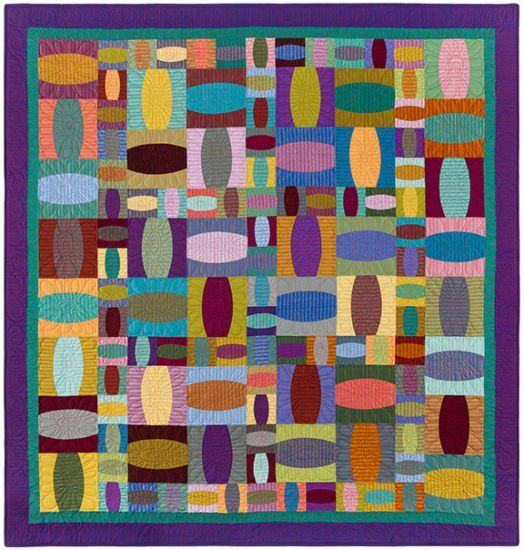 I design and publish quilt patterns and books for the Doodle Press line. I also make art quilts that are usually very large. The excitement of seeing the colors and design on a large scale is amazing to me! I love the impact a large image can make. For 20 years I have also taught and lectured about quilting around the world. It's been a fantastic journey to travel and meet so many wonderful people! As of June 2018 I will not be accepting anymore bookings. I will continue to publish new patterns as well as put up how-to videos to show you how I like to construct my patterns. If you would like to be kept up to date on this transition, please sign up for my Doodle Press newsletter here. I have a store where you can look at and purchase Doodle Press patterns and my books. There is a gallery of my work as well as gallery of my students work. If you want to know more about me, check out the about page. Links pages are always fun. I send out a newsletter once in a while. You can sign up here. And last, if you want to contact me, please do. The Newest Pattern SURF'S UP! This pattern is created from a wonderful block I have designed based on the Rail Fence block. I curved the inside straight lines to make it more fun and interesting to sew. These curves are gentle, so they are east to piece together. I first offered this block in a pattern I published back in 2005. I have since purchased a laser cutter and now I can can cut and engrave my templates to order. Surf's UP! is offered with and without arcyrlic templates. You can find them here in my store. 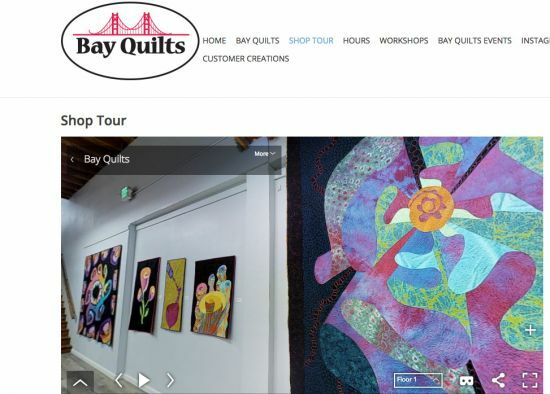 In a perfect world this quilt measures 72.5" W x 74.5" H.
Bay Quilts hosted an art show of my quilts in April of 2017. At the time they were shooting a 3-D interactive view of the store. Click on the photo below, it will take you to their website and you can take a look at the store as well as my show! How cool is THAT!!!! !